The NRD-535 and NRD-535D are the fourth generation of a family which began with the NRD-505 over 15 years ago. It builds on the already solid reputation which JRC has rightly earned. It introduces numerous new and innovative features, and improves the ease of operation. The reception performance is superlative. "We conclude that this receiver offers excellent value for the serious shortwave listener. Most of the specifications are excellent... 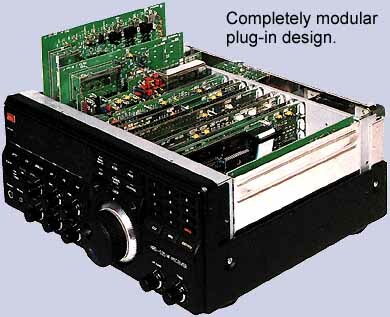 The company listened to the criticism of the 525, and incorporated a lot of extra features as standard. 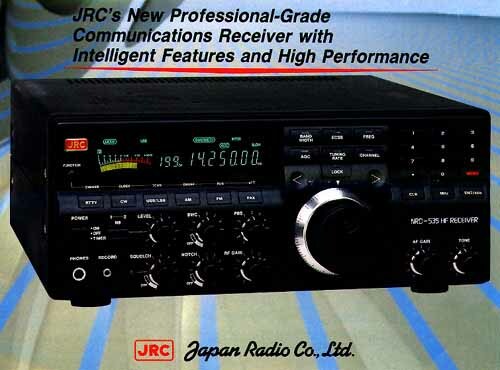 ...a timely upgrade that gives JRC the edge." "There's no doubt in the minds of the WRTH test bench team. High performance, excellent computer connectivity, and ease of use make this a clear winner." 200 memories which store everything including reception mode and attenuator setting. Dual width noise blanker with adjustable trigger level. Continuously variable pass - band shift. Continuously tunable IF notch filter. Comprehensive 50 page instruction manual (all English) which includes all user adjustments and schematics. Copyright ©1997 ZCM Services, Australia. Last updated on May 10, 1999.